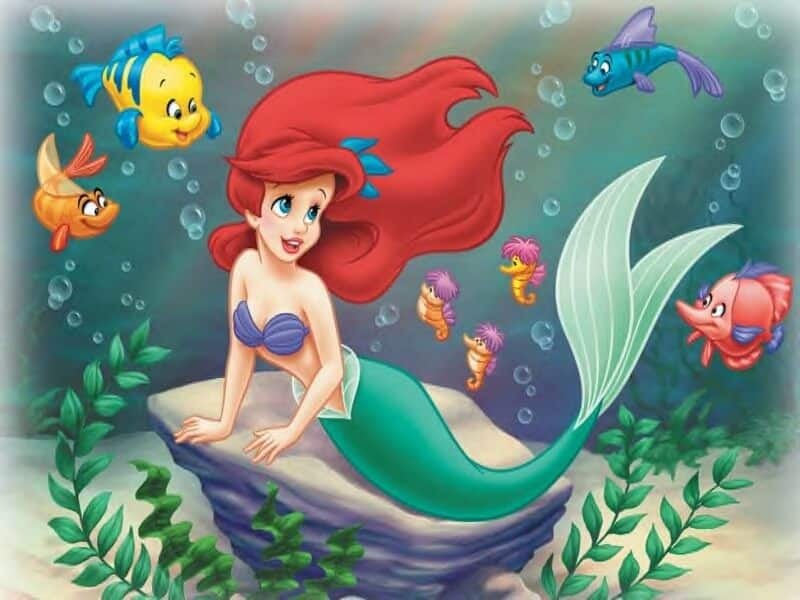 Despite what Sebastian says in The Little Mermaid, things are not better down where it’s wetter. In fact, the wetter things are, the more unbearably miserable they become. If you’re running in the heat and humidity (you know, going for a nice, miserable summer run), you should really know what you’re getting yourself into. I live in Alabama, which in the summer, is pretty much like running through air you can wear. For many people, the idea of running in the heat and humidity is a nightmare (my Geek to Geek co-host Void, for instance, hates it). It’s unpleasant at the best of times, ruins your time and pacing, and causes undue chafing and blistering in places you never ever want chafing and blistering. Unfortunately, if you’re like me and live in a place where high humidity is a way of life (and remember Tennessee is a so-called temperate zone, too), you have no option but to adapt to it or spin your wheels inside, going nowhere on a treadmill. Fortunately, there are a few things you can keep in mind to make your training under the sea a little more like Sebastian’s dance party and a little less like Chef Louis’ stove top. High humidity means something different to everyone. If you’re from Texas or Arizona, high humidity might be 40-50% humidity. When we were in San Antonio a few years back, locals were complaining about how humid it was at 55%, but my wife and I were romping around outdoors because it was so dry. To us. Where we’re from, we’re used to high humidity being 95% and up. In fact, the 10-miler I ran last week was in 98% humidity for the first 7 miles. That said…Tennessee, Texas, or the Kingdom of Atlantica, it doesn’t matter. Humidity is humidity is humidity. Certain rules always apply. Running in humidity is very much like learning to run all over again. You can’t expect to run the fastest race ever if the air is thick enough to swim through. It’s very important to keep a steady pace and not push yourself too hard. Running in high heat and humidity, you will easily run 10-20% slower than you do in cooler weather. The fastest mile I’ve ever run was 7:13, and my average is between 8 and 9 minutes. This summer, I’ve been averaging between 10:30 and 11:00. And I don’t care. I know I’m not running in ideal conditions, and I want to avoid having an asthma attack. So I keep it slow and easy, and I’m still able to increase my mileage regularly. Your body sweats to keep you cool. When you sweat, that sweat evaporates and cools your skin, which regulates your temperature. When you’re running in humidity, that sweat doesn’t evaporate. It can’t. The air has too much moisture in it already. So your core temperature rises, which makes your body work harder to cool itself, which makes your heart rate rise and your lungs fight to pull in enough oxygen. Essentially, as you overheat, your body becomes much less efficient–spending energy on regulating your core temperature instead of putting one foot in front of the other. Because of this, its very important to stay as cool as you can when you’re running in the heat. Running early in the morning might be an option, but in some areas, the sun not being out for long can mean the mugginess hasn’t burned away yet. Shaded park trails, roads, and neighborhoods are also wonderful, and if you can wear lightweight, wicking clothes, you’ll be thankful for it. My wife even brings an extra shirt to towel off with since excess sweat won’t be evaporating. Which is to say: stay hydrated. You need to drink. A lot. I tend to drink about 50 ounces of water on my runs these days–about 5 ounces per mile. I run at a local track, so I can keep a bottle sitting in the shade of a tree and stop for a drink whenever I want. And when I get home, I drink another few bottles over the course of the day to replenish the extra stuff I sweated out. The worst thing you can do if you’re running in high humidity is lose too much water. You put yourself at risk for dehydration, heat stroke, and a number of other terrible no-good awfulness. Sometimes, I pop an electrolyte tab into a bottle and drink it, but it’s not actually that necessary. You can also drink SmartWater (but not Gatorade). I only do focus on electrolytes if there are white salt streaks on my face and body after my sweat finally dries. Running in the heat and humidity can sap you of energy really quickly because of the extra work your body’s doing to regulate its temperature. Because of that, I’ve taken to eating an energy gel when it’s super hot outside just to give myself a boost. It’s not necessary by any means for shorter runs, but if I know I am going to feel slugglist, I pop a gel somewhere between miles 3 and 5 (about halfway through my run, depending on the day). It has worked wonders for me so far, and I can definitely tell a difference in runs where I don’t pop a gel. The main thing I’ve noticed, though, is that on cooler/lower-humidity days, I don’t feel the need for the gel as much. That makes sense–my body isn’t working as hard, so it doesn’t burn through as much energy and need refueling as quickly. So if running in humidity makes your legs feel like Ariel learning to walk on the beach, make sure you’re adequately fueled for your run. The very last thing you want is to be too weak to get back home safely. What do you do to stay cool when running in the heat and humidity on a summer run?